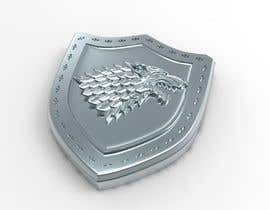 I am looking for a person to create a 3D model of some Game of Thrones house sigils and lettering. So anyone reading this can better visualize what I have in mind, I'll explain their exact purpose. Basically I have a Game of Thrones 3D Map of Westeros, for which I created a thick wooden base, for it to rest on, and a glass dome, to cover the map (see "Game of Thrones [login to view URL]"). 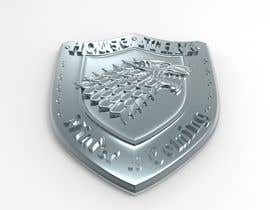 The wooden base looks a bit plain, so I would like to get the words 'Game of Thrones' embossed on the front side (in the middle), and two house sigils on either side of the words. 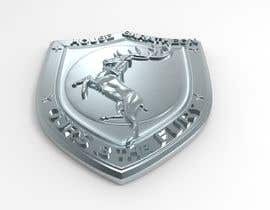 I would like 3D models of each of the above so I can get them 3D printed in high detail stainless steel (link below). I will then painted them and fix them to the wood. 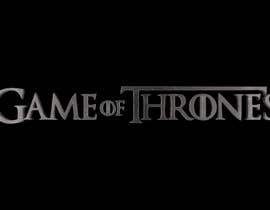 ->The words "Game of Thrones" in the font they usual use (See "Game Of Thrones [login to view URL]"). -----Maximum dimensions: Height=7cm; Width=39cm; Depth = 0.75cm. 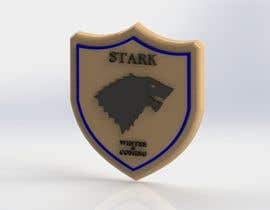 ->The House Stark sigil (See "House Stark [login to view URL]"). -----Maximum dimensions: Height = 7cm; Width = 7cm; Depth = 0.75cm. 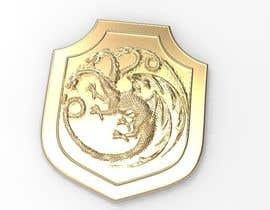 ->The House Targaryen sigil (See "House Targaryen [login to view URL]"). 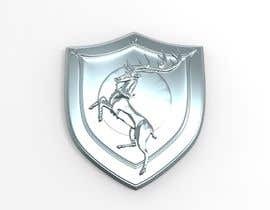 ->The House Baratheon sigil (See "House Baratheon [login to view URL]"). 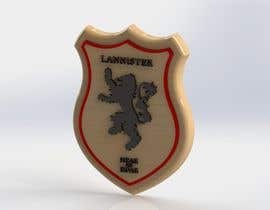 ->The House Lannister sigil (See "House Lannister [login to view URL]"). All 5 elements need to be drawn in 3D, and have a 'textured' feel to them. NOTE: I must stress that the lettering and the sigils need to be textured and feel 3D! The more detail the higher the chance of winning this competition! NOTE: Also, please note that the dimensions given are the maximum size each individual element should be. It is important that you do not exceed any of the dimensions, and also please make sure that the sigils are exactly the same size. NOTE: The "Game of Thrones" letters can be designed individually or as a whole piece. The most accurate (to the original font) submissions will have the highest chance of winning the contest! 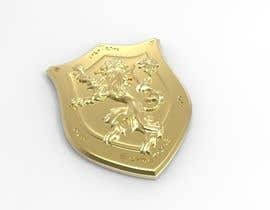 NOTE: The images of the sigils provided are only for reference and not to be followed exactly. I would like the designs to remain true and accurate to the series, however feel free to add or leave out house names or mottos and play around with the actual shape of the design. Creativity will be rewarded! Finally, whoever wins this contest will be required to submit individual files for all 5 elements mentioned above. The formats submitted must enable me to view the 3D drawing, and 3D print the object. Thus, all formats that will allow me to see the 3D model, and send it to a 3D printing company for printing shall be valid. Thanks to everyone who read this. Looking forward to seeing all your designs! UPDATE: Please note that entries submitted in colour will be preferred. UPDATE: Updated the briefing to say that any formats will be allowed, as long as they serve the stated purposes. UPDATE: Added 3D printing material and link. UPDATE: Reduced maximum thickness of objects. This them finushed? Or i can worked ? I've already chosen a winner for the contest sorry! Thank you very much for your comment! I didn't realise there was a size limitation and have decided to go with another 3D printing company instead. Your submission is also very nice, however, not exactly what I was looking for. Every time I enter a competition, the winner gets elected before I even get a chance to post mine. I'm preparing something far more better than that winning work, suddenly the contest is over before a whole week !!! I am sorry to announce that I will be closing this contest early. Since the level of participation hasn't been as high as expected, and also because one person's submissions have already been exactly what I wanted, I do not wish to waste any more of your time. I will leave a few hours before I close the contest just in case anyone wishes to submit something they've already finished. I hope none of you are angered by this decision, but since I've already found exactly what I want I didn't think it would be right to waste more time, mine or yours. 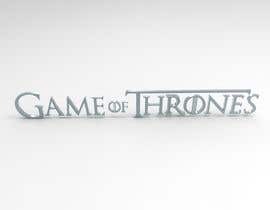 Hi, about the "Game of Thrones" text, you want it to be designed with maximum dimensions of: Height=7cm; Width=39cm. As I saw, it can't fit both height & width as provided at the same time, so I guess I'll stick to the 39 cm, leaving the height to be less than 7cm. to be exact, it's 4.76 height & 39 cm width. If I stick to the 7cm height, the width will be 57.3 cm ! I thought this is a missed point, so I tried to mention it and know what you think. Yes you're right! I provided those dimensions to serve as the maximum that you should work within. It doesn't matter if it's smaller but it can't exceed those dimensions! Hi. Please review #5. Thank you! Looking forward to see your design! UPDATE: Reduced maximum thickness of objects from 1.5cm to 0.75cm. Sorry if this is an inconvenience to anyone who has already started working on the models, however we realized that 1.5cm was way too thick and would ugly! Can you please say for what do you need the .CAD files? Its hard for me to imagine the possibility of such modeling and texturing in AutoCAD. Or am I missing something? 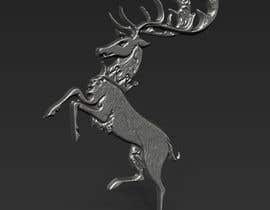 HOW TO MAKE ->The House Baratheon sigil (See "House Baratheon Sigil.jpg"). -----Maximum dimensions: Height = 7cm; Width = 7cm; Depth = 1.5cm. i can complete this work for you in 3 days if you will assign this job to me personally. Sounds good Blackhawkx :) Looking forward to seeing your submission!